Please take an Avalanche Safety Course before taking The Abacus in the backcountry. Too many people die or permanently injure their selves there so don’t become a statistic. Conditions: 1 foot of day-old thick sierra powder. So I took this board out on a day of a little over a foot of thick leftover powder. I didn’t skin this up or venture out into the backcountry. Instead, I just took some small slackcountry hikes near the mountain so I can’t speak on how the board works when it’s split. Also that’s not my area of expertise as I haven’t tried many splits. 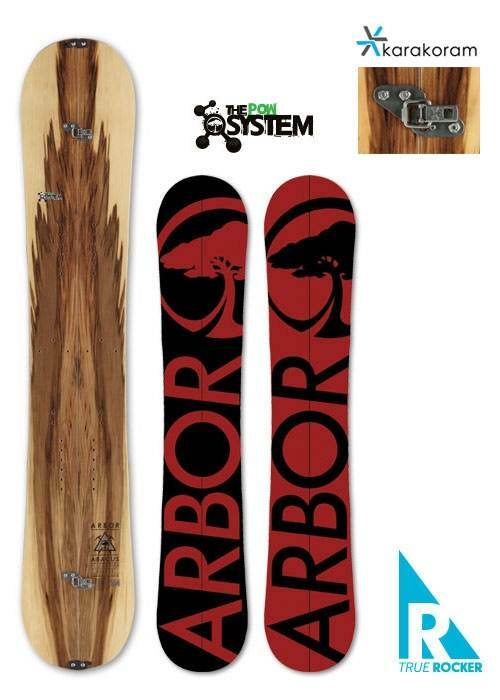 The new Arbor Abacus reminds me of the Arbor Element RX combined with the Wasteland but split in half. On Snow Feel: This is better than the vast majority of continuous rocker boards and provides a semi-stable feel like a lot of hybrid rocker boards do. It’s virtually catch-free and pretty loose between the feet for a backcountry board. It’s definitely for a backcountry freestyle approach to the mountain but it can offer a pretty surfy ride for a directional twin as well. You won’t be riding the mountain but one footing and flat basing is acceptable. 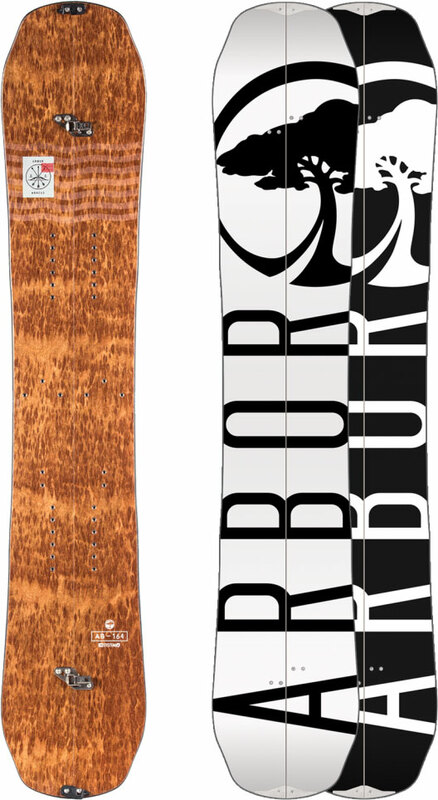 Powder: The Arbor Abacus is a board that has a centered stance for those who like to take more of a freestyle approach to the backcountry. So for the rider who likes to set their stance back, you will find this somewhere in the good to borderline great feel when it comes to ease of float. If you like to ride with a centered stance you will find this excellent. Arbors continuous rocker has an easy float in powder and I feel it’s right there with powder twins like the Gnu Dirty Pillow in terms of float but it’s a little easier to turn due to the slightly more narrow waist. This has a surfy feel for a directional twin with a centered stance and had an easy float in the wet thick sierra snow. Turn Initiation and Carving: The 2013 Arbor Abacus is one of those boards that can make quick short radius turns very well and it’s right in the middle of easy. In a lot of ways, this feels like a split set back slightly stiffer Arbor Element. As the turns get wider they are easy but not that demanding. For carving the Abacus can get a little washy due to the continuous rocker shape. Still, it does pretty well for this kind of shape as long as you don’t push it to hard and keep it between the feet. 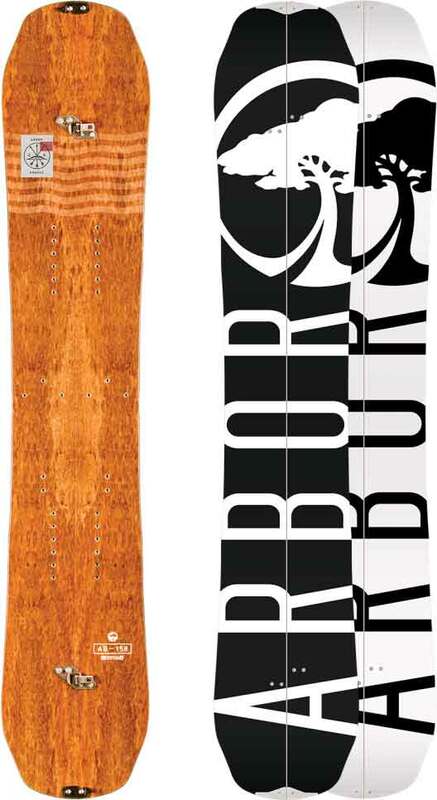 Speed: The Arbor Abacus is one of the more stable continuous rocker boards out there. On uneven harder snow it doesn’t have the stability that other boards do but in powder, it’s fine at almost any speed within reason. 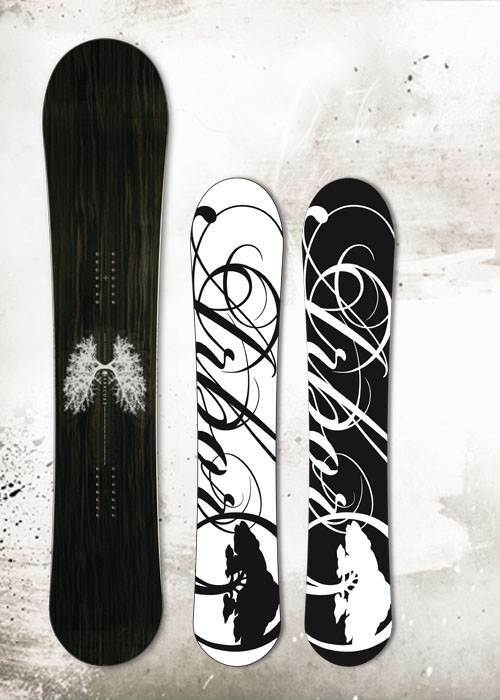 Edge Hold: What a great grip that is perfect for a backcountry powder board. It can handle soft 2-day old sierra cement powder without being grippy but still hold an edge if you have to deal with very hard to even icy snow. Flex: It feels like a very solid well-built board with a good medium to borderline aggressive flex. Because of the continuous rocker if you like to butter in the backcountry it’s very doable. Uneven Terrain: This is important because conditions aren’t always ideal in the backcountry. The Arbor Abacus has a soft shock absorbent flex that is great for when you need to slow down and deal with a rough patch of hard uneven snow. It definitely has a soft SUV type of feel when hitting uneven terrain that’s easy on the body. Switch: Feels very easy switch and I didn’t notice the difference edge to edge. Jumps: This like many Arbor boards have lots of pop and was really fun to ollie off natural features. The rest really doesn’t matter. 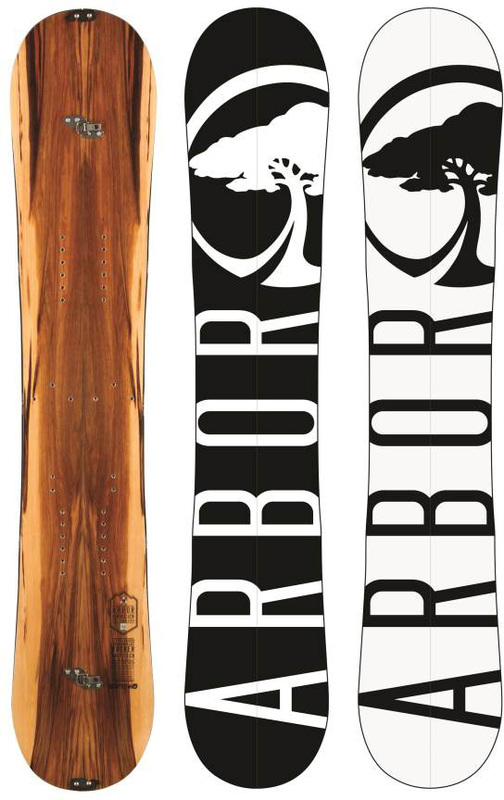 Not much changed from the 2013 to 2014 Arbor Abacus. It’s pretty much the same ride. I was kind of hoping to see a shovel nose/tail upgrade similar to the Element and Coda. We try to get as many images of the Arbor Abacus, but forgive us if they're not all there.